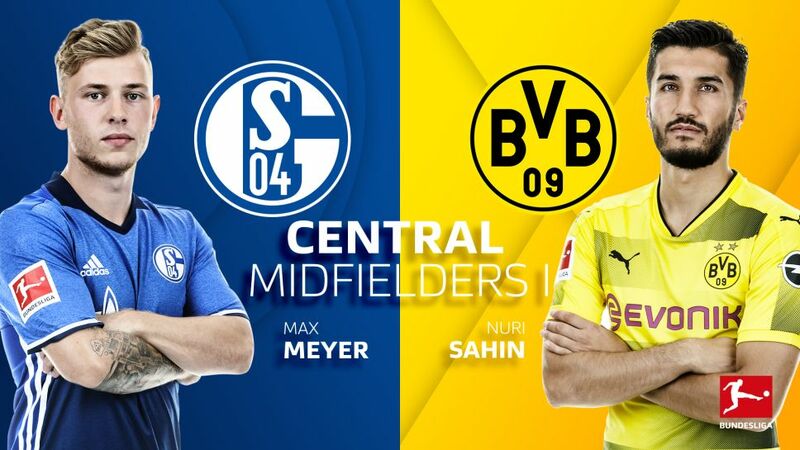 Bundesliga | Meyer, Sahin, McKennie or Weigl – who would anchor YOUR Schalke/Dortmund dream team midfield? Meyer, Sahin, McKennie or Weigl – who would anchor YOUR Schalke/Dortmund dream team midfield? The four candidates are: Weston McKennie, Max Meyer, Nuri Sahin and Julian Weigl. Cast your votes in the poll below! Schalke boast two of the Bundesliga’s brightest young midfield talents in the shape of Meyer and McKennie. Meyer, who honed his technique playing futsal as a boy, has been on the Schalke books since 2009 and provides a vital link between defence and attack. Destined for a place in the Germany midfield, the 22-year-old has made 24 league appearances this season, setting the tempo with a superb pass completion rate of almost 92 per cent, a league high for a midfielder. McKennie, meanwhile, is one of a host of American stars adding some star-spangled glamour to the German top flight. The 19-year-old has made 17 Bundesliga appearances this term, despite suffering a knee injury in early 2018, and his positional flexibility and boundless energy have made him one of the most useful weapons in Tedesco’s arsenal. Even as he approaches the age of 30, Sahin remains the Bundesliga’s youngest ever goalscorer, having netted against Nuremberg at just 17 years and 82 days. While he may have lost half a yard of pace over the years, the Turkey international still has the same lightning-quick speed of thought, as he showed with a masterful performance in last week’s 3-0 win over Stuttgart. Sahin has contributed two goals and two assists this season, and boasts the same 88 per cent pass completion rate as teammate Weigl. The Germany international thrives in a deeper role than Sahin, sitting just in front of the defence and acting as BVB’s midfield metronome. While he may have lost a touch of his influence this season, the 22-year-old remains one of the biggest talents of his generation, and his stunning first Bundesliga goal — in a 6-1 thrashing of Borussia Mönchengladbach — was one of the highlights of the campaign.